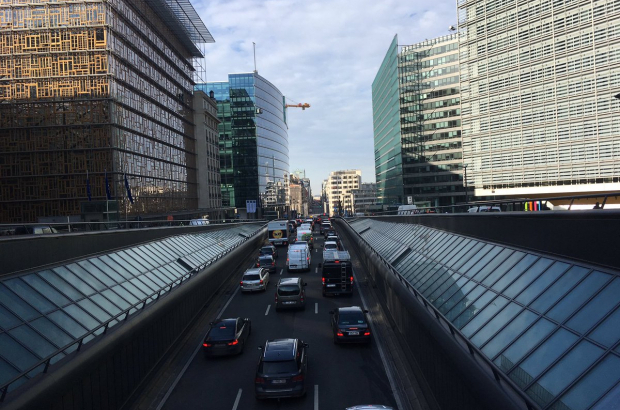 A 10% drop in the number of cars on Brussels' roads this week has caused the size of traffic jams to fall by almost half, according to the latest figures from Brussels Mobility. Ask a driver in the city how many fewer vehicles are on the streets over the summer holidays - as an RTL reporter recently did - and estimates range from 30% to 60%. But Brussels Mobility says the reality is there are only 10% fewer cars - about 20,000 less than usual - but their absence makes all the difference, bringing congestion down by 40%. "If you remove 10% of cars, there is much less congestion on the main roads," said a Brussels Mobility spkeswoman. "If only a fraction of motorists didn't use their cars the rest of the year, we would take a big step towards reducing jams." Holiday time at the Commission too?